After CULT (the European Parliament’s Committee on Culture & Education) delivered its draft Opinion earlier this month, yesterday IMCO (the European Parliament’s Committee on the Internal Market and Consumer Protection) also published its draft Opinion. In the same positive light as rapporteur Marc Joulaud finally recognises users as active contributors, now both sources and recipients of content in the digital ecosystem, rapporteur Catherine Stihler has done a great job by bringing the interests of Internet users, SMEs, miners and creators back to the table , in way which ensures a better balance with the interests of rightholders. leaving intact the intermediary liability provisions of the E-Commerce Directive. Deleting the proposed art. 11 is mostly what stakeholders have repeatedly asked for. OFE’s academic paper titled “A publisher’s intellectual property right: Implications for freedom of expression, authors and open content policies” analyses in detail the reasons for which such a proposal not only lacks the needed evidence to show how its introduction would address the decline in revenues caused by the digital transformation, but also its negative impact on fundamental rights such as freedom of expression. In the same light, the open academic letter from the European Research Centers provides justified reasoning why such a proposal cannot stand. In her Opinion, Stihler emphasizes that this new right is unnecessary and underlines that there are more effective ways to improve enforcement and promote high-quality journalism. On text and data mining (TDM), extending the mandatory exception to ‘any individual or entity, public or private, with lawful access’ is specifically what OFE has repeatedly asked for, considering that the ‘right to read is the right to mine’. What remains worrisome in the IMCO Opinion is the addition of “lawful access to mine” (AM29). Specifically, the freedom to mine should apply to any content to which the miner has lawful access: the “access” right refers to the content, not to the mining permission! Just as the Max Planck Institute states, the act of text and data mining is not relevant in terms of copyright. The compensation which a rightholder could ask for (which is also mentioned in the CULT Opinion) could be envisaged for the normalization of data, but this should not refer to the mining activity itself. Moreover, whereas rapporteur Joulaud asks for destruction of any content reproduced for the purpose of TDM, once all the acts necessary for the research have been performed, the Max Planck Institute goes one step further in the opposite direction, underlining how indispensable it is that TDM should be made possible with respect to content that is not lawfully accessible (that is, mining done on already normalized data). In this case, back-conversion would be a primary violation of the right to reproduction, therefore the argument put forward that content can be stolen by mining activities does not stand. We also salute MEP Stihler’s exclusion of the research purpose limitation. Only by opening up the legislative framework to allow mining for all other purposes, such as marketing, advertisement, translation and more, can Europe catch up with other countries which perform much better in this area (such as the US and Japan). Another positive take-away from the IMCO Opinion is that it calls for the E-Commerce Directive (ECD) to remain intact (AM28), and it underlines that fair and balanced agreements between online service providers and rightholders should be concluded only where the liability exemptions of the E-CD do not apply (AM63). This is already a very positive step forward. However, this still leaves plenty of room for legal uncertainty as to what ‘fair and balanced’ might mean. We also salute the exclusion of references to content filtering technologies, which would inevitably lead to general monitoring, something which is prohibited by Article 15(1) ECD (ECJ Case SABAM v. Netlog, C-360/10). Stihler also introduces an exception for User-Generated Content (AM66), a concept defined in the CULT Opinion (AM42). On this specific point, both Opinions are a bit worrisome: without defining the concept, IMCO puts forward several requirements which go beyond the three-steps test, while CULT adds another interaction mode (“display”) with the platform, separate from the “upload” mode (AM28) – this presumably opens the door to live streamed or embedded UGC. Despite the two positive points regarding online platforms explained above, we still believe that deleting art. 13 is the only way forward. 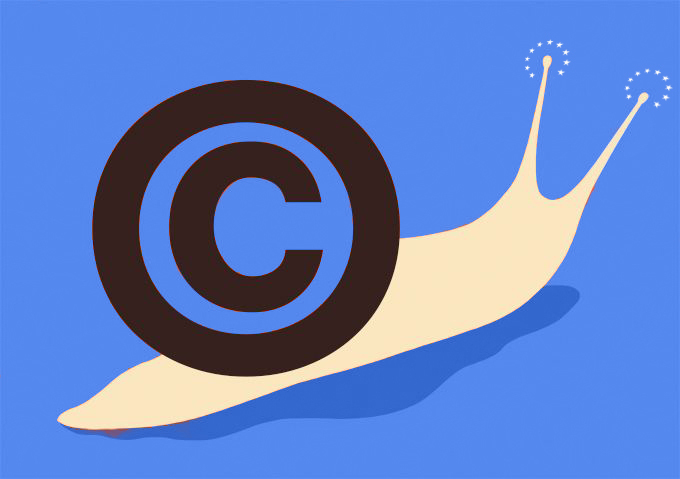 Many questions still remain unanswered (see the list counting 11 questions asked by European Research Centers), and some of them are not even relevant to any copyright debate.